Provo, UT is well known for being the unofficial Mormon capital of Utah. As the suburban companion to the capital, Salt Lake City, it features a small-town, community feel that is distinct from the “big city” up north. But don’t let that fool you into believing that it’s a tiny community. Provo is still home to large and small businesses, even international companies! Driving through Provo it’s obvious that there are more urban and industrial districts, as well as sprawling neighborhoods and communities that focus on families above all. Home to Brigham Young University and with Orem’s Utah Valley University just up the road, Provo features the best benefits of college towns: intense football and sporting events, local music and entertainment, and delicious food at a great price. Home to Brigham Young University and with Orem’s Utah Valley University just up the road, Provo features the best benefits of college towns: intense football and sporting events, local music and entertainment, and delicious food at a great price.Young couples put down roots to stay and raise their families, while some families have been born and raised for generations – and never plan to leave! 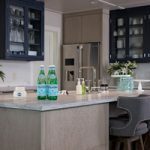 New development has not been deterred, however, as beautiful new builds and communities have begun inching their way up the mountain, west toward the lake, and south into the open expanse between Provo and Springville. Like much of Utah, Provo has the charming characteristics of early pioneer and turn-of-the-century settlement. There are tiny old cottages dotting the valley, in desperate need of gentle updating and remodeling (for example, those with only one bathroom). Provo is a community with strong neighborhood and familial ties, which is why Provo residents prefer to trust local, family companies with your homes. 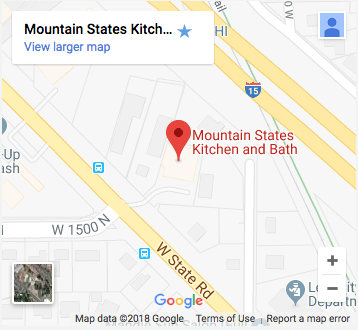 Mountain States Kitchen & Bath knows the area personally, and treats it as you do – with the sense of communal family. 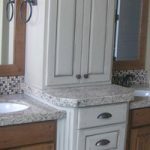 If you need to update your kitchen countertops, reface or refurbish your bathroom cabinets, or remodel your kitchen entirely, trust local experience to get the job done right. Mountain States won’t take advantage of you or provide mediocre service. Instead, you can expect professional service at an affordable price, and a commitment to provide you with exactly what you’re looking for. 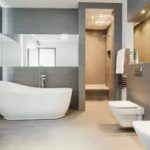 Call or contact Mountain States Kitchen & Bath if you need to spruce up your home, they are professionals who have served the Provo area for years, and call it home.